So, you’re planning a kitchen remodel, and you’re doing your due-diligence to find out if cabinet refacing is an affordable option for you. Based on that information alone, you’re already showing signs of super-savvy consumerism—so let’s keep up with that trend! 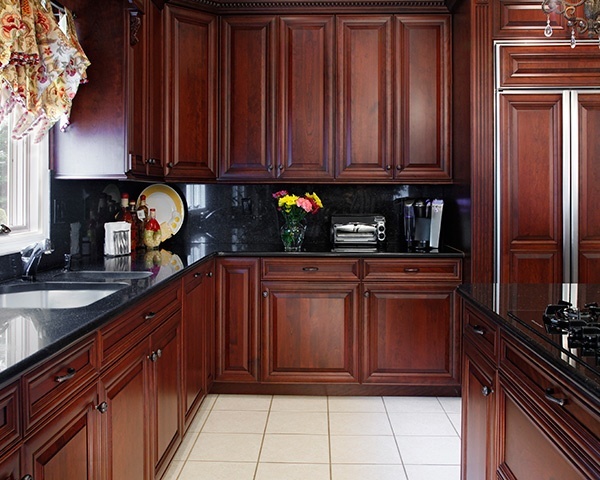 As you may already know, cabinet refacing generally costs around 50% of the price for all new cabinetry. Since your existing cabinet boxes and frames do not need replacing when you are refacing, you end up saving the cost of labor and materials that would be required with new cabinets. 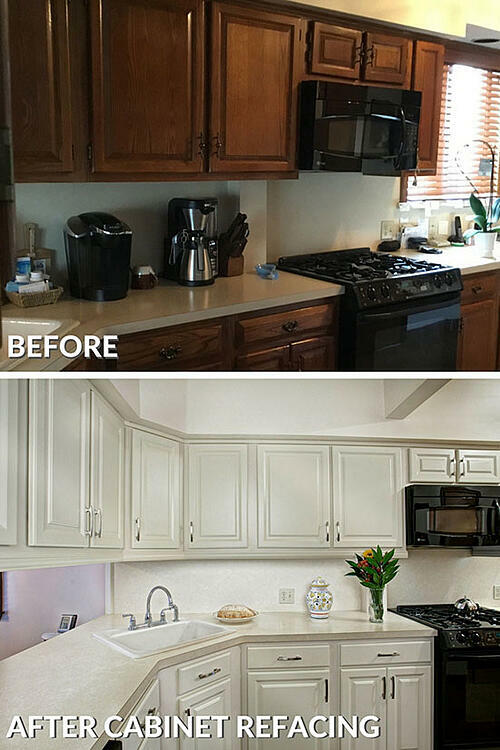 Cabinet refacing proves to be an affordable alternative to new cabinetry that still delivers a wow-worthy transformation. That being said, we get that you’re going to need to know how much this service costs, in order to decide if it’s the right solution for you. So, we’re going to provide you with some resources that will give you “national averages” for the costs of cabinet refacing. But, before we do, we ask that you (as the savvy consumer you are) hear us out on a few things first. It’s our belief that providing clients with “ballpark” figures for price estimates does not benefit them, and in all honesty, it doesn’t do much for us either. 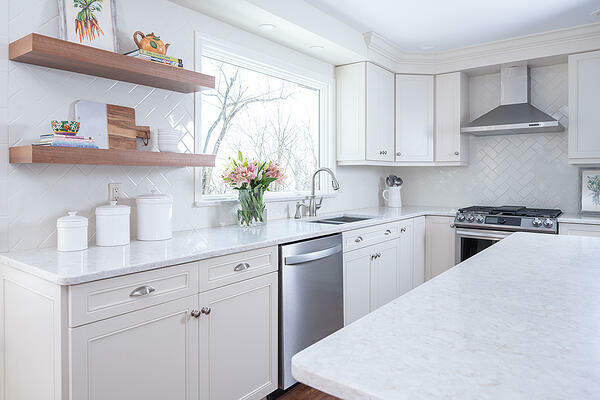 This is simply because cabinet refacing costs can be nearly impossible to determine without the specific measurements of the kitchen and details of the project. There are a few mainstream websites who do provide national averages for the costs of cabinet refacing, and here are the reasons why they should be taken with a very large (golf ball size) grain of salt. These types of options, and others, will always increase the price, and likewise you can opt to forgo them for more affordable products or features. But, if your expectation is established without taking any of this into account, your likely to incur disappointment as you seek out quotes to match preconceived estimates you may have set for yourself prior to the consultation. You may notice if you compare them, the cabinet refacing cost estimates presented by the sources we provide below are not the same, and they themselves are not really within each other’s ballparks. They are all reputable websites, with which many of you are likely familiar. But, their data is based on a sample set of people that they each collected and analyzed within their organizations or partners. The information they provide gives an idea of what others have paid, but a sample group of people can only illustrate so much information about reality for you and your needs. The disparity in their results is further evidence to suggest that their figures should not to be taken for reliable estimates. This is not only because of the way they collect their sample data, but also because of the fact which we already mentioned and frankly cannot state enough—the specific measurements and size of the room, materials, and additional options desired will greatly influence the price of the project. Location also plays a major part in determining cost, which these resources don’t take into account with any specificity. For example, a kitchen remodel in San Francisco could cost much more than a similarly sized kitchen with similar materials in a small city in Delaware. 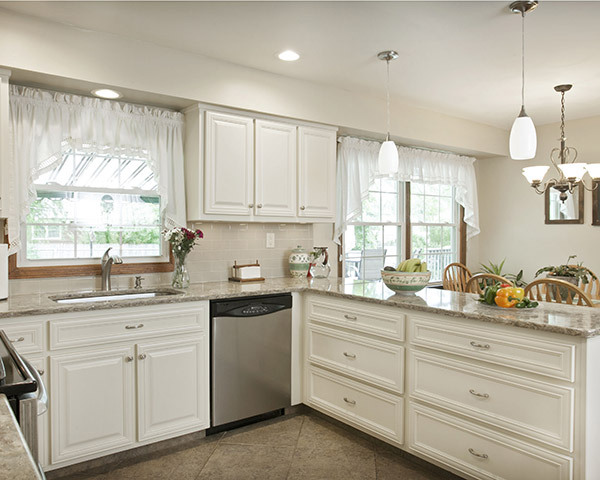 Factors like location and region, supply and demand, cost of labor, and quality materials can greatly misrepresent the true value and cost of cabinet refacing in these national averages. We appreciate you hearing us out, and now we are happy to provide some links to websites that will give you the average cost of cabinet refacing. Go ahead and check them out, if you’re still interested in what they have to say. Just please be mindful that, for the reasons we’ve explained, they may not be helpful to you in setting realistic expectations for the quality of service, products, and results you’re looking for from your kitchen remodeling project. These figures should be a baseline at best, and we advise to keep your expectations flexible, and your options open, when reviewing an actual quote from a kitchen consultant. Our recommendation is to have consultations with professional remodelers and obtain multiple estimates to compare. The estimate quotes should be calculated based on your kitchen's specific needs, as well as your individual wants. We have a great resource, the 25 Point Checklist, that can help you choose the perfect company for your kitchen project. Many companies offer free and in-home consultations, including Kitchen Magic. When you’re ready to get started, schedule an appointment and we’ll provide you with a bonafide cost estimate on which you can depend.